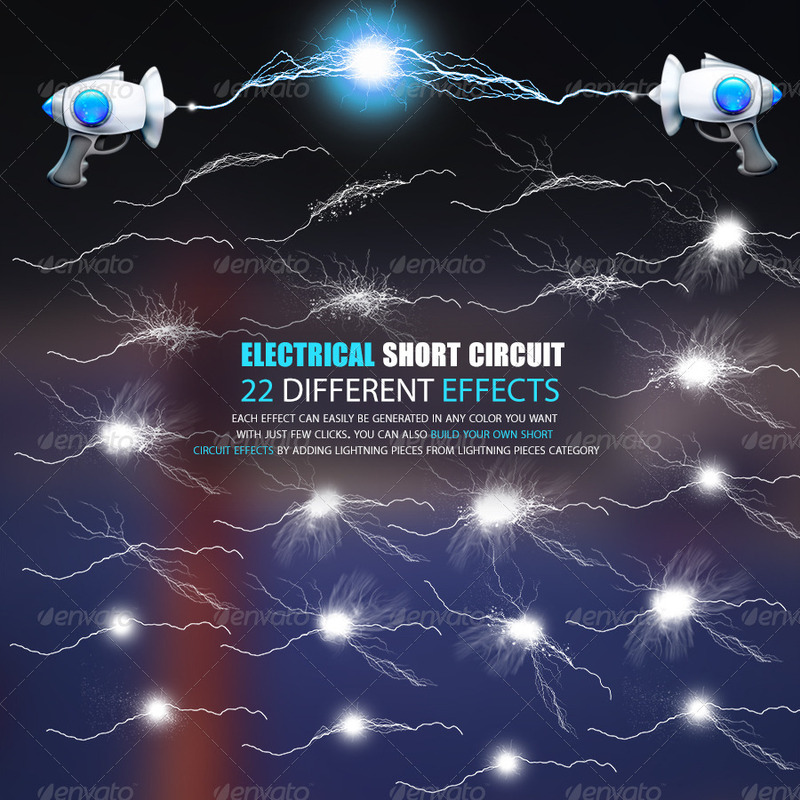 Set of lightning effects for making short circuit effects, item contains 22 different custom made effects all plain white color, each effect can easily be generated in any color you want with just few clicks. 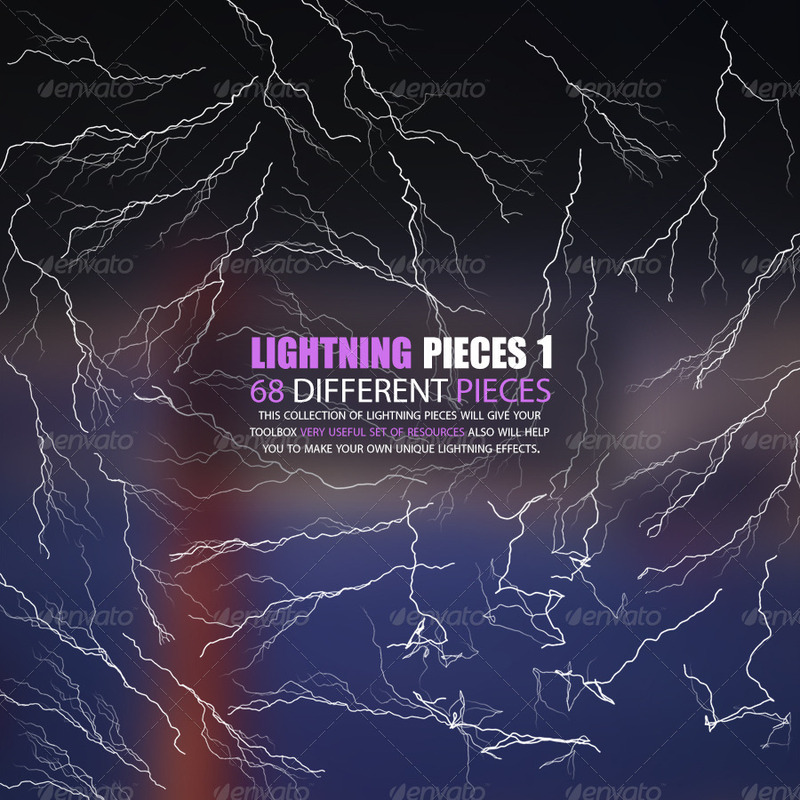 You can also build your own short circuit effects by adding lightning pieces from Lightning Pieces category. 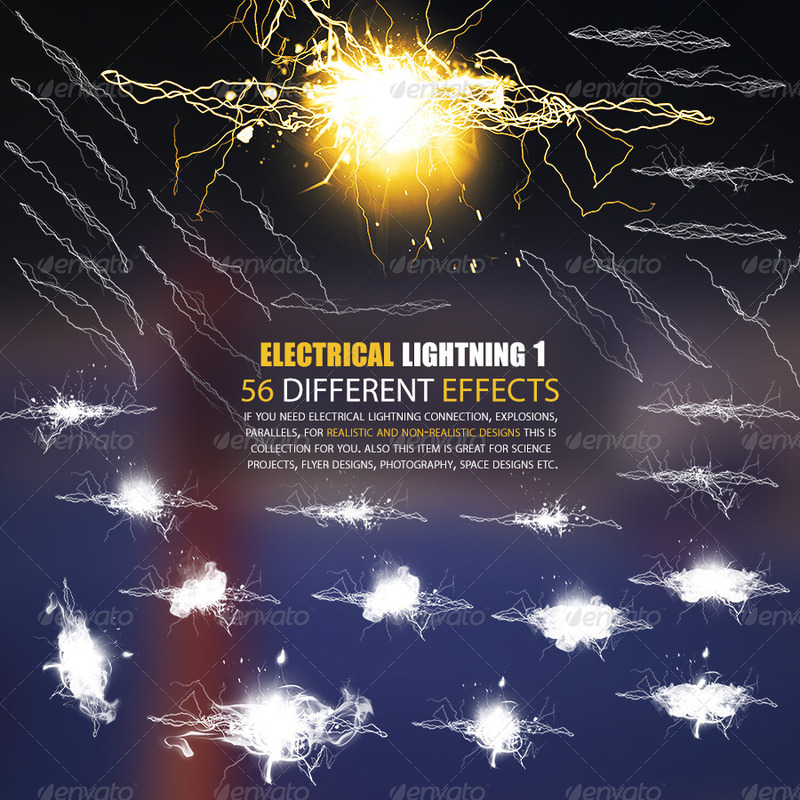 If you need electrical lightning connection, explosions, parallels for realistic and non-realistic designs this is collection for you. Also this item is great for science projects, flyer designs, photography, space designs etc. 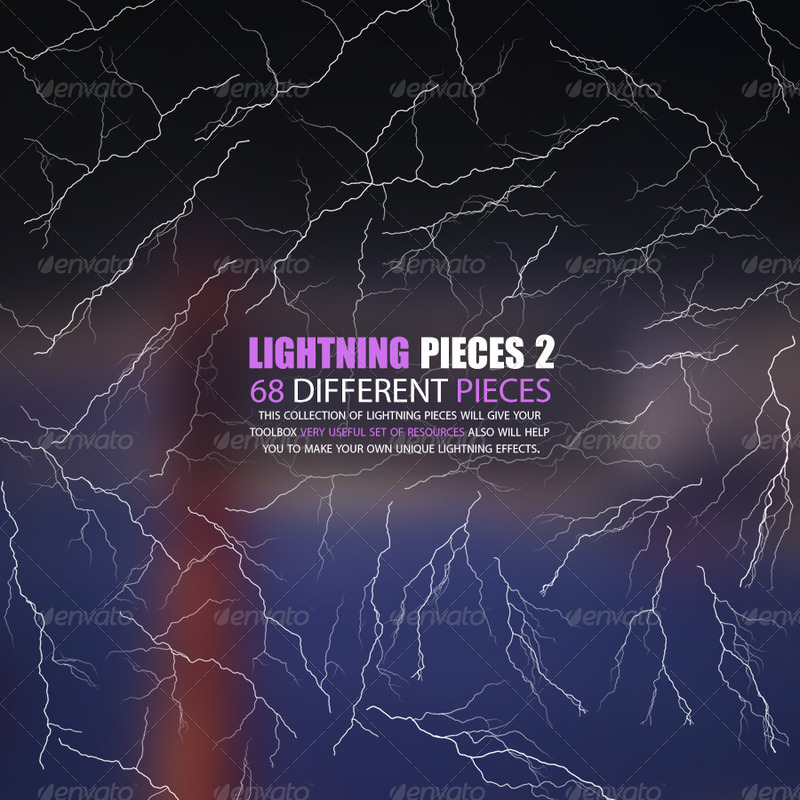 File includes ready to use 56 transparent PNG files, PSD file and color generator PSD file for creating awesome colorful effects in seconds. 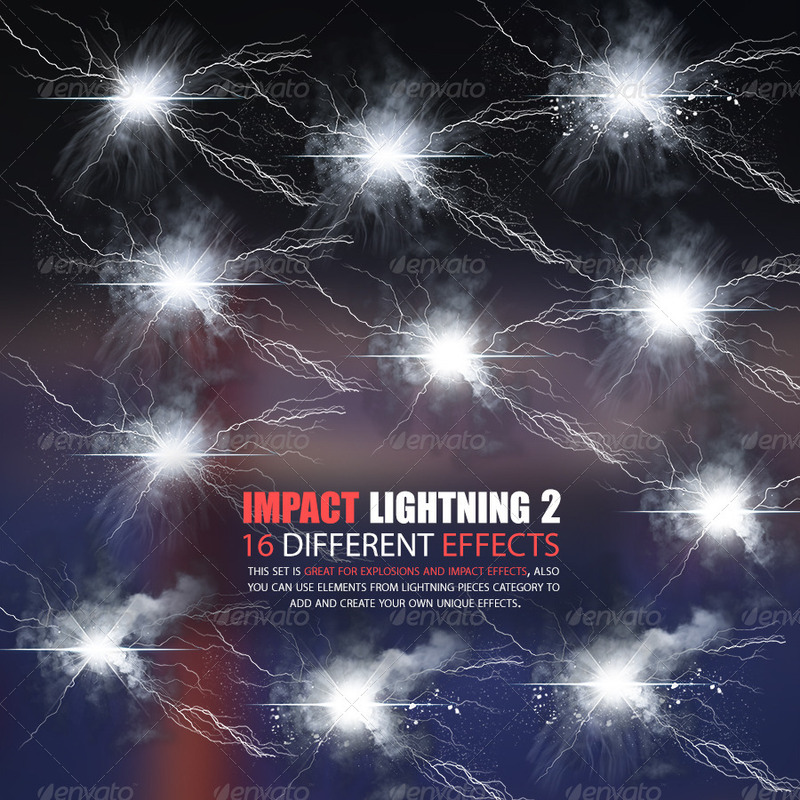 This set is great for explosions and impact effects, it includes 16 different ready to use effects in transparent PNG and PSD formats. 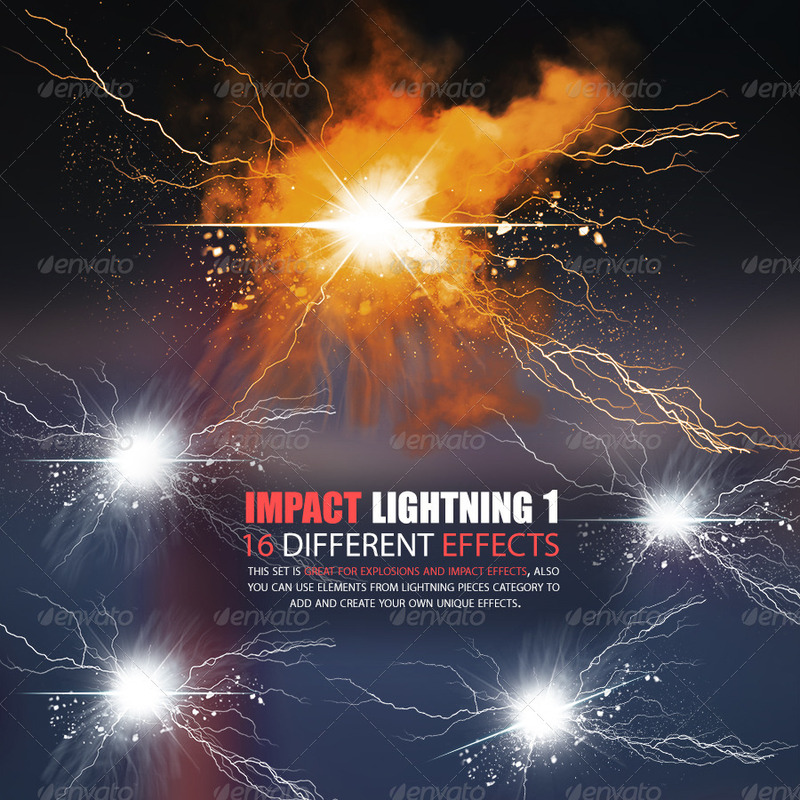 Color generator PSD file will help you generate hot color effects in seconds, also you can use elements from Lightning Pieces category to add and create your own unique effects. 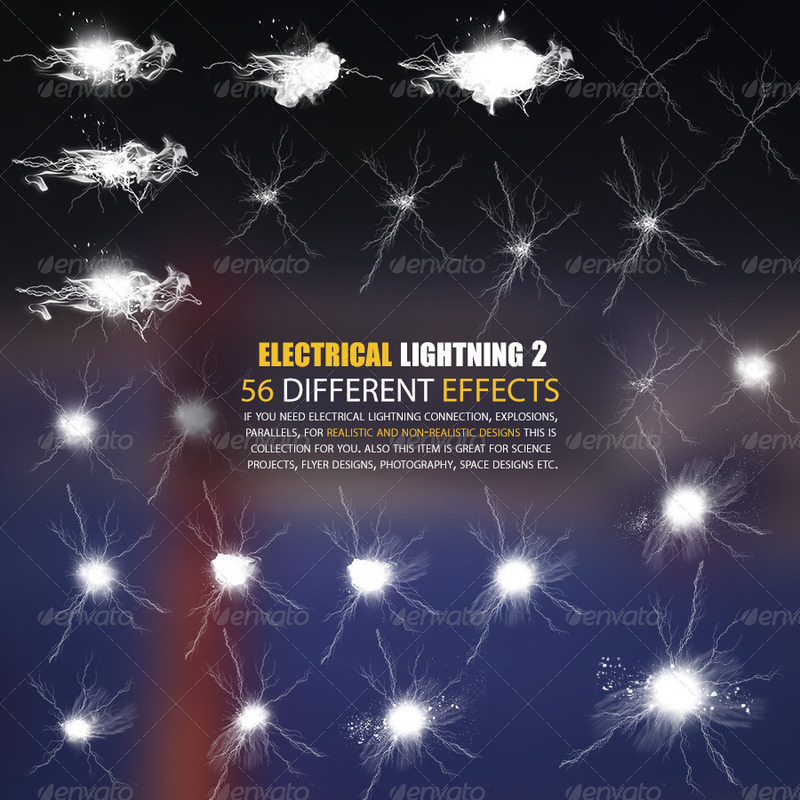 This collection of 68 different lightning pieces will give your toolbox very useful set of resources also will help you to make your own unique lightning effects. Item includes 68 transparent PNG files, 1 PSD file and color generator PSD file will help you to make any hot color you wish in seconds. Each category cames in separate folder that includes all items in transparent PNG and PSD formats, also there is Color Generator PSD file for every category to generate effects in any color you wish with just few clicks. 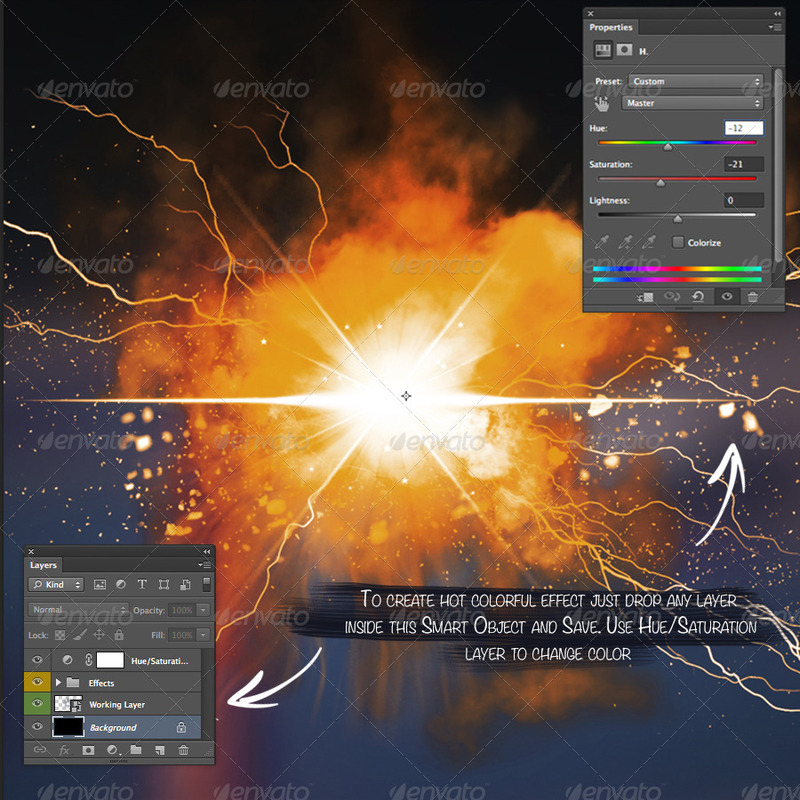 Everything is set up in the way that any one can create high quality professional effects in seconds with very little knowledge in Photoshop. Help file is included with all info needed. Big thanks to Artbees for they’re awesome freebie Product Box.